CyberSecurity Malaysia have warned everyone about phishing website targeting to Cheat and Collect confidential information like their e-banking user-names and passwords. Phishing Website is a FAKE websites! User maybe easily fooled into giving away their account credentials as the phishing websites look exactly like some of the well-known local banks’ e-banking websites. Phishing is the term coined by hackers who imitate legitimate companies in e-mails to entice people to share passwords or credit-card numbers. Recent victims include Charlotte’s Bank of America, Best Buy and eBay, where people were directed to Web pages that looked nearly identical to the companies’ sites. * Never respond to e-mail that request for your Credit Cards or Banking information. * Do not EVER respond to e-mails that ask you to go to a website to verify personal(and Credit Cards or Banking) information. * Be cautious about e-mails that offer credit and promotion services. many unsolicited e-mails are fraudulent. * Never click on Internet Web link within e-mails. Instead type the ink manually. Members of the public are reminded to beware of phishing or fake websites used to conduct ‘phishing attack’ by masquerading as trustworthy entities such as familiar banking websites. The reminder came from CyberSecurity Malaysia which revealed that the number of phishing attempts is on the rise and accelerating. “The Cyber999 Help Centre has been receiving numerous reports from Malaysian Internet users regarding phishing websites hosted overseas, that look exactly like some of the well-known local banks’ e-banking websites,” CyberSecurity Malaysia chief executive officer Lt Col Husin Jazri said in a statement here on Tuesday. He said the ‘phishing attack’ also utilised a kind of social engineering tactic such as sending spam e-mails that looked as through they were sent by well-known local banks. The fraudulent e-mail uses convincing words to trick people into clicking a link that would open up the phishing website or fake e-banking website, he said. “Because the fake website looks exacly like the original website, customers are tricked into entering their confidential information like their e-banking user-names and passwords into the fake e-banking website,” he said. This way, the ‘phishing attacker’ could conveniently steal user-names and passwords of unsuspecting bank customers, he added. “Banks will never ask users to do account updates, password reset, account unlocking or anything in relation to banking via e-mails and URLs,” he said. Thus the centre advised the public to completely ignore the e-mails should they receive such e-mails which look similar to those from the banks or any financial institutions. Those who receive such spam e-mails are advised to contact their banks for verification or contact Cyber999 Help Centre. CyberSecurity Malaysia is the national cyber security specialist centre under the purview of the Science, Technology and Innovation Ministry. The service includes Digital Forensics/CyberCSI, Malaysia’s Computer Emergency Response Team (MyCERT)/Cyber 999, Security Management and Best Practices, Security Assurance, Cyber Security Training and Professional Certification, Outreach, Awareness, and Social Responsibility Programmes and Cyber Security Policy and Legal Research. This entry was posted on Wednesday, December 30th, 2009 at 11:07 pm	and is filed under Scam. You can follow any responses to this entry through the RSS 2.0 feed. Both comments and pings are currently closed. 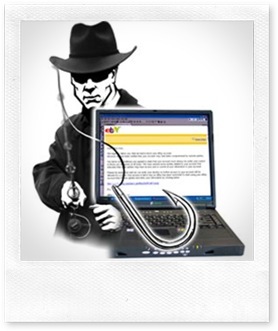 It’s not easy for any users to identify a phishing site, especially kids or senior citizens. Hopefully CyberSecurity Malaysia efforts are effective. KUALA LUMPUR: CyberSecurity Malaysia has advised Internet users to be wary of e-mails from “banks” asking them to update personal details, reactivate online banking accounts or participate in surveys offering cash rewards. Once the culprits obtained these details, they would “phish” away money from the victims’ accounts, he added. “As these fake websites look exactly like the original, customers are tricked into entering these confidential information,” he told Bernama. He said phishing or fake websites were created to look like the design of some well-known banks’ e-banking websites to manipulate the weak side of human being’s sense of security by masquerading as a trustworthy entity. “Usually, phishing attacks also utilise a kind of ‘social engineering tactic’ such as sending spam e-mails that look as though they are legitimate e-mails from well-known banks. “The fraudulent e-mails use convincing words to trick people into clicking a link that would open up the fake websites. “Banks will never ask their customers, particularly their e-banking users, to do any account update, password reset, account unclocking or to reveal any personal information in relation to banking, via e-mails or URLs,” Husin noted. “In an effort to educate the people and to increase awareness on Internet security, CyberSecurity has developed a program called CyberSAFE where the public can get information on Internet safety issues at its portal cybersafe.my,” Husin said. The Public can also contact CyberSecurity at Cyber999 Help Centre or e-mail at cyber999. Two men, believed to have been involved in an international credit card forgery syndicate, were arrested at Terminal 1, Kota Kinabalu International Airport here on Monday. Sabah Commercial Crime Investigation Department chief Supt Soh Hock Sing said that during the arrest of the duo, aged 28 and 26, at about 11.30am, police found 37 fake credit cards with credit limits of RM13,000 to RM15,000 for each card. He said the fake cards were believed to be for the foreign market as the cards were not equipped with the secure chip technology. “We got a tip that these men were bound for Hong Kong and after observing their behaviour for several hours, we moved to make the arrest. “One of them had 19 cards in his trouser pockets,” he told reporters at the police station here Monday. Soh said the men, who hail from Penang and Perak respectively, would be remanded for five days to assist investigation. He did not rule out the possibility of other individuals being involved in the syndicate. THE payment and settlement systems in Malaysia remained resilient and continued to operate smoothly throughout 2009, contributing to the stability of the financial system. Bank Negara accords great importance in ensuring that the major retail payment systems process payments in a timely and secure manner. This is necessary in gaining and preserving public confidence and trust which are crucial to spur wider acceptance and adoption of e-payments in the retail area. The focus of the oversight activities was ensuring the robustness and reliability of the major retail payment systems operated by Malaysian Electronic Payment System Sdn Bhd and Touch ‘n Go Sdn Bhd. Emphasis was placed on ensuring the availability of adequate internal controls and risk management practices as well as assessing contingency planning preparedness. No major disruptions on these retail payment systems were experienced during the year. Bank Negara continues to collaborate with industry players and relevant authorities to combat fraud in retail payment systems. In 2009, fraud losses in the country were sustained at negligible levels, and accounted for only 0.002% of total non-cash transactions. Payment card fraud also remained negligible during the year, accounting for only 0.04% of total payment card transactions compared with 0.2% in 2004. Card-not-present transactions and unauthorised transactions using lost and stolen credit cards remained the main source of fraud losses, which accounted for 57% and 20% of total credit card fraud losses respectively. The fraud losses from counterfeiting activities continued to be insignificant as a result of the nationwide migration to the Europay-MasterCard-Visa standard in 2005. Similar fraud trends were observed across the globe, particularly within the Asia-Pacific region. Collaborative efforts have been undertaken by the central bank and industry players to combat these types of fraud, including continuous awareness programmes by the respective card issuers to educate cardholders on the importance of safeguarding cards and card information, and merchant education programmes, spearheaded by the Malaysian Risk Management Task Force. The industry-wide merchant education programme is aimed at providing merchants with important procedures that should be adopted while processing card payments to mitigate unauthorised usage of payment cards at their outlets. PUTRAJAYA: More people should be using online or electronic services provided by the Government as they were safe and efficient, said chief secretary to the Government Tan Sri Sidek Hassan. He said at least 50% of government agencies and departments were providing their services electronically, but the number of users was still low. “We need to double efforts to promote the use of electronic government services among Malaysians, who should not have any reservations about the efficiency and safety of such services,” Sidek told reporters after filling up a census form online yesterday. The 2010 National Population and Housing Census exercise which started yesterday would continue until Aug 22. The national census collects data to help formulate plans to meet the country’s needs. Sidek said the public should not take the national census programme lightly as it was a way for the Government to gauge the needs of the people. He said electronic services would help lower operational costs and boost efficiency, as those deployed at the counters could be reassigned to other duties. According to Mampu, there are 4,204 online services provided by 720 government agencies, including 161 offering electronic payment facilities and 1,711 SMS services. The number of daily online users for the electronic services increased from 6,144 visits to 19,439 last year.